William Clark Green is not one for pulling punches. Where some songwriters trade in subtlety and dancing around blunt truths with clever feints and metaphor, Clark aims his words straight to the point and, when needed, right through the heart. His music is unrelentingly direct and hard-hitting, too, charged with a palpable rock ‘n’ roll immediacy that’s as evident in his most intimate solo acoustic performances as it is in the full-tilt band shows that have packed rooms across his native Lone Star State from the Blue Light in Lubbock to the world’s biggest honky- tonk, Billy Bob’s Texas in Fort Worth. And with the April 21st release of ‘Ringling Road,’ his eagerly awaited fourth album, Green is set to make his biggest impact on the booming Texas/Red Dirt music scene — and beyond — yet. But just don’t call him the “Next Big Thing,” because as Green makes patently clear on ‘Ringling Road”s riotously myth-busting opening track, that’s a laugh, buddy. 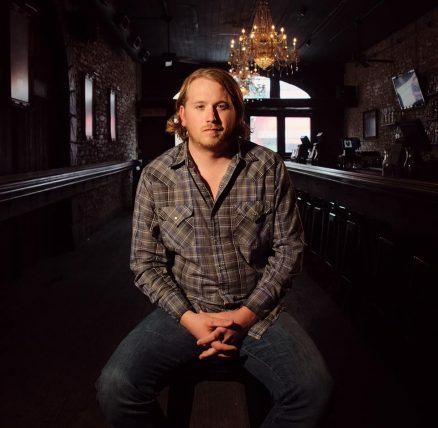 And even with tongue firmly in cheek, William Clark Green is only interested in being real. The aforementioned “next big thing” rumors started up in the wake of his second album, 2010’s ‘Misunderstood,’ but it was 2013’s ‘Rose Queen’ that proved his real breakthrough. Green recorded the album, produced by Rachel Loy in Nashville, at a real crossroads in his career — with momentum and high expectations at his back but barely enough money in the bank to foot the bill (and that only after a desperate call for help to angel investor Wade Bowen saved the day). “It was a huge leap of faith,” Green says today, “but I told the band, ‘We’re going to pull out all the stops, and we’re going to find a way to make exactly the record we want to make and need to make.” The end result was a triumph, yielding Green’s first three top-10 Texas Radio hits, including two chart-toppers in “She Likes the Beatles” and “Hanging Around” (the former also won “Song of the Year” honors at the fan-voted Lone Star Music Awards). Of course, all of that set the bar even higher for the follow-up — and ‘Ringling Road’ delivers in spades. Returning to Nashville to team once again with Loy (Green calls working with the gifted up-and-coming producer “the best decision I’ve ever made in my musical career”), the band overcame a a couple of early setbacks — longtime drummer Jay Saldana had recently left for a new gig with Wade Bowen, followed by guitarist Steve Marcus breaking his arm a week before they went into the studio — to come through like champs under pressure. Saldana ended up coming back as a guest to drum on most of the record (along with new band member Ryan Garza), while the lead guitars duties were initially shared between Nashville session vet Kenny Greenberg and band friend Josh Serrato, recruited out of fellow Texas band Six Market Boulevard for what originally supposed to be “fill-in” duty. By the time Marcus’ arm healed up enough for him to join the sessions halfway through, though, Serrato had been promoted from temp to full-time band member. Greenberg ended up staying on for the rest of the record as well. With that formidable triple-guitar threat augmented by Green on acoustic, seasoned band member Cameron Moreland on bass and key assists from Loy and others on background vocals and a few other instrumental tracks, it’s no wonder that ‘Ringling Road’ boasts the fullest sound of any WCG album to date. But as has been the case since day one of Green’s career, it’s the quality of his songs that ultimately makes the boldest statement. And it’s not just the flat- out rockers (“Next Big Thing”) and irresistibly catchy, up-tempo numbers (“Sticks and Stones,” “Creek Don’t Rise,” “Going Home”) that hit hard, either. Other highlights include “Old Fashioned,” a stirring elegy for a bygone Texas (“The interstate’s pumping just like a vein full of California license plates”), and the uproarious, Todd Snider-worthy title track, which takes its name from a real road in Green’s current hometown of Eastland, Texas. Back in the day, the Ringling Bros. Circus used Eastland as a regular resting stop between shows, where the elephants and other animals were let off the train for a drink and the myriad circus folk would unwind and do whatever circus folk usually do on their nights off. As colorfully imagined by Green and co-writers Ross Cooper and Randal Clay, that was a helluva lot more wild and entertaining than the actual ticketed performances. Before giving up on it, though, Green showed it to one other trusted friend: Kent Finlay, songwriter’s songwriter, founder of the legendary Cheatham Street Warehouse in San Marcos, Texas, and, not for nothing, Green’s co-writer on ‘Rose Queen”s hit single “Hanging Around.” Sage soul that he was, Finlay — who sadly passed away on March 2, 2015 after a long illness — took a shine to the unfinished song at first pitch. “I took it to Kent and said, ‘I’ve got this song, and no one seems to like it,'” Green recalls. “But I played what I had for him, and he went, ‘Oh, I like that!’ And I was like, ‘Thank God, finally somebody does!’ So we ended up finishing it together, and I’m really glad we did.